What I learned in London…. A weekend was spent with, what I strongly believe to be, the most influential people working in Perinatal Mental Health and I’ve come back feeling inspired, motivated and know that what I’m doing is there to make the biggest of differences to expectant and new parents. 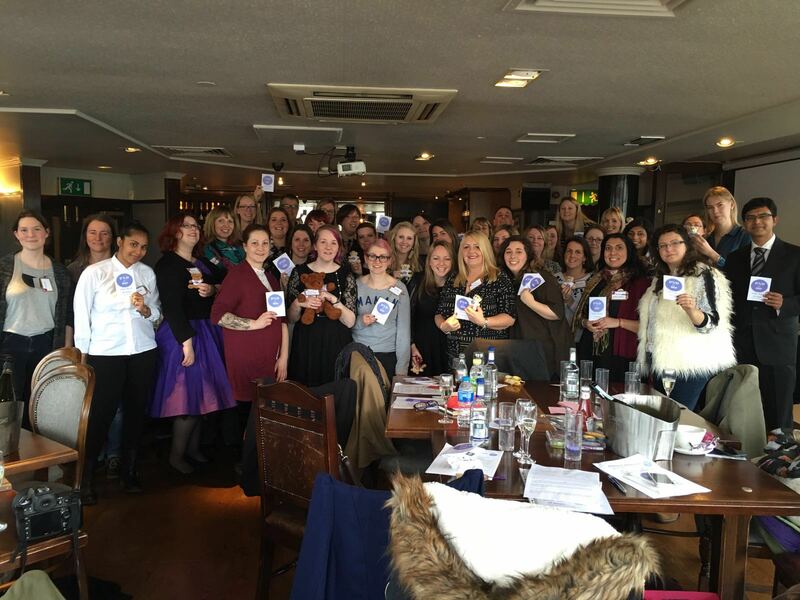 Many of us volunteer for grass-root, peer support organisations across the UK and have been brought together by Rosey who hosts #PNDHour on twitter. We are the ones with the experience to understand what it’s like to live with a perinatal mental health illness and we are the ones influencing and making positive differences to people’s lives. Perinatal Mental Health is the over-arching name given to a spectrum of mental health illnesses a mother or father could experience from the point of conception until their child is two and includes PND, Baby Blues, Anxiety, OCD, Psychosis and PTSD. Antenatal provision – there is little provision addressing the expectations and realities of parenthood – many parents don’t understand how intense parenting can be, the emotions that go hand in hand with parenting, how sleep, feeding and our births can affect us, how we can support our relationships including that transition from being a couple to being a family – these topics aren’t covered in enough depth (or at all) by NHS and NCT antenatal classes. illness – there’s a broad spectrum of perinatal mental health illness – for some it could be not bonding with our babies, for others it could be low mood, not being able to sleep when baby sleeps, feeling anxious, feeling we need to be in control – not wanting to let our babies out of our sight or have others caring for them. For others it might be more serious, intrusive thoughts, feeling of self harm or not wanting to live any more. And for others, it might be a much more psychotic episode with hallucinations. There’s those that feel depressed in their pregnancies for a whole host of reasons – such a taboo area as society deems we should all be so happy to be pregnant but many mums don’t feel that way. PTSD for those who have experienced difficult births (something that can affect both mum and dad). There is a broad spectrum and we need to let people know so they understand this and get the support they need at the right time. risk factors that leads to perinatal mental health illness. 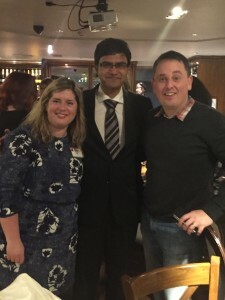 I was impressed listening to Raja Gangopadhyay (Consultant Obstetrician in Perinatal Mental Health (PMH)) who campaigns for reducing stigma and better PMH services within Maternity Units who understood how much the birth can affect mums mental health. He described situations where mums had strived for home births or births in local midwife led units and then, for whatever reason, are transferred to labour wards – how this process can often be mis-managed with unnecessary interventions. How can this be reviewed? This issue is one of my passions – how can that transfer and birth be managed in a way mum doesn’t feel like she’s failed AND still gets a positive birth experience. 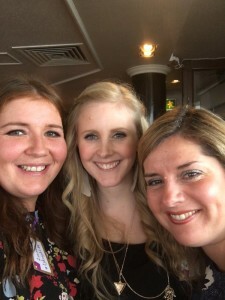 Continuity of care – this is such a vital issue that mums have continuity of care yet so difficult to achieve due to the way that our systems are set up. It’s so important that mums feel cared for by the same person as they have built up a trust and a bond with their health care team. This is where I believe, doula support is of most value, regardless of how mum chooses to birth or feed her baby – a doula can walk you all the way from conception to when your baby is a few months old. Variability of care – the way that health care professionals interact with you from midwives, obstetricians, health visitors and anyone else in your journey is of paramount importance. Empathy, having time to listen, making space, providing consistent and high quality information and making mums feel cared for are so important. 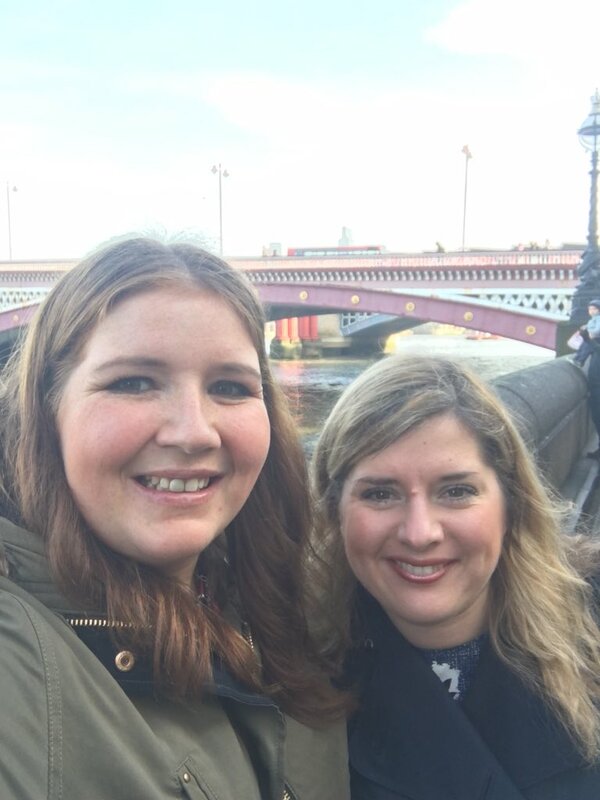 Stigma – Eve and Kathryn have been recently working closely with Eastenders on a storyline about Postpartum Psychosis – a condition that affects around 1 in 1000 women. Using the media to expose the realities of perinatal mental health really helps to breakdown the stigma on a mass scale and people start to gain a better understanding. Talking openly about our illness can help people to understand how common it is. And as Kate pointed out, by showing our vulnerabilities and being open can make us much more authentic people as others can understand our stories. I really feel here is the value of peer support – as what you realise is that perinatal mental health is something that can happen to anyone. I’ve spent the last 3-4 months designing new parenting classes for expectant parents, Preparing for Parenting, which covers many of the topics we discussed on Saturday. I came up with the concept through my own experience and a survey of new mums. It’s made me realise when, at times, I’ve struggled to make people understand how important they are, that these classes are what is missing in the antenatal education programme and proud that I’ve independently created this programme of support. 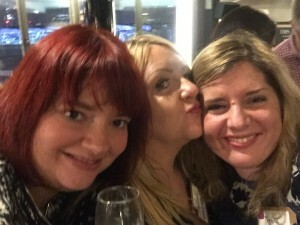 And there is more to come for mums in the postnatal period… but that’s for the future…..
Saturday was a day of celebration of love, kindness, sisterhood, motherhood filled with so much laughter and a few tears. It’s left me feeling so inspired and motivated to keep doing what I’m doing and so blessed to be part of this tribe. Thanks to Rosey who hosts #PNDHour for organising it (as it was the 2nd birthday part of PNDHour) and to Lauren who I work with at Juno for so much chatting, laughter, and being such a good friend. If you’re in Edinburgh, and you feel you need to talk to someone about any perinatal mental health illness – get in touch with Juno who I volunteer with.